Submitted by lynn on Wednesday, August 1, 2018 - 10:36pm. 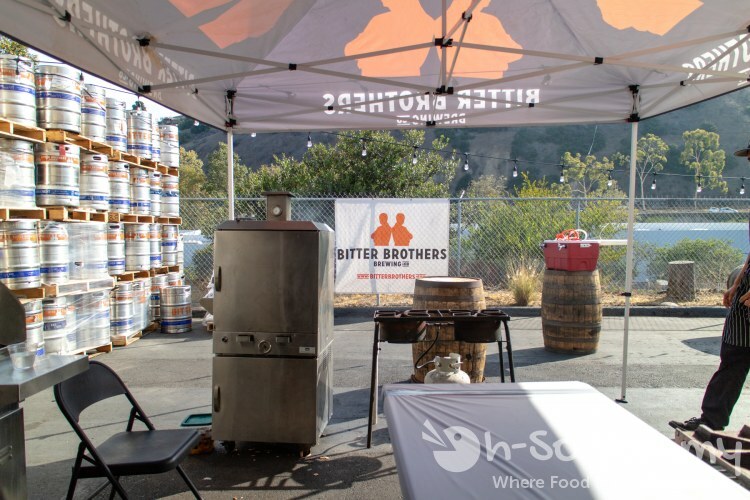 Our friend Mercy of Baron's BBQ Beat helped organize a Family Dinner BBQ Bash with six talented BBQ pitmasters in San Diego. 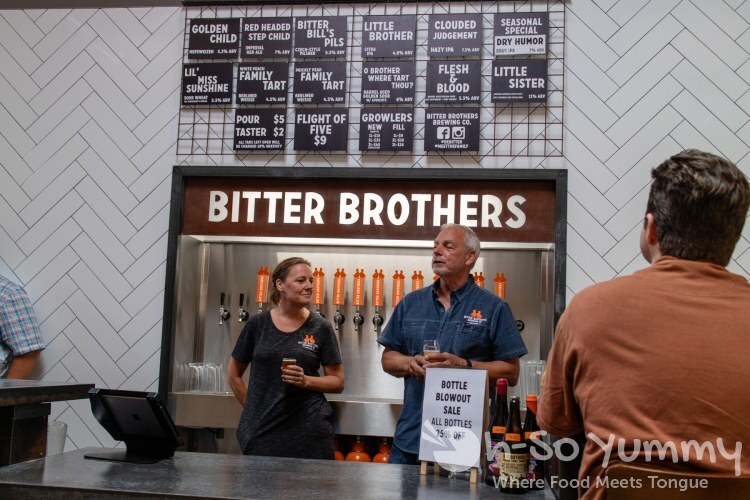 This event was hosted at Bitter Brothers Brewing Co. on Sunday July 29, 2018 between 5-8pm. 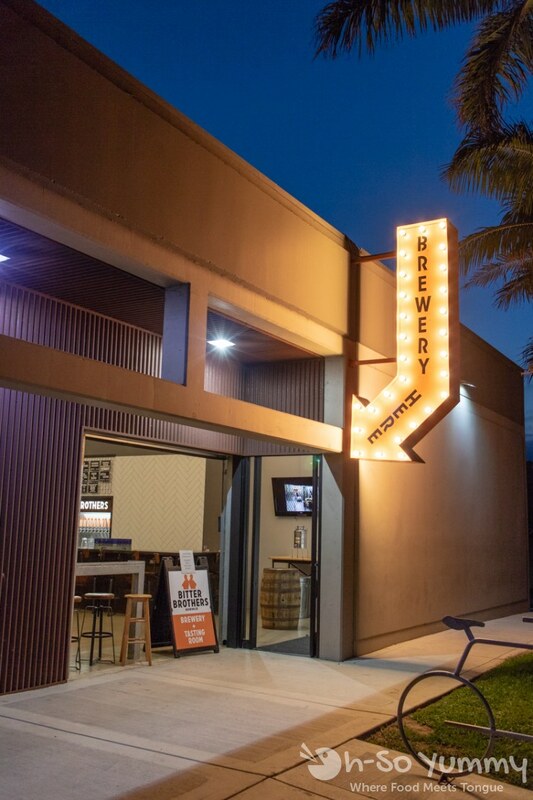 The $75 tickets provided a 6-course meal with beer pairings as part of a fundraiser for Feeding San Diego (a leading hunger-relief charity & food bank serving San Diego County). It's above the costs of a typical dinner for me but hey, I'm supporting a friend and a charity all in one! Plus, who wouldn't mind some quality BARBECUE? The menu preview looked fantastic! After checking in at Bitter Brothers Brewing Co., the staff was already handing me a welcome beer named Bitter Bill's Pils. I'm not much of a beer drinker but this light refreshing pilsner was a pleasant sip to start the evening. I almost made it to the halfway point of this pint by the end of the night! PORK... He opened the popular Carnitas Snack Shack! 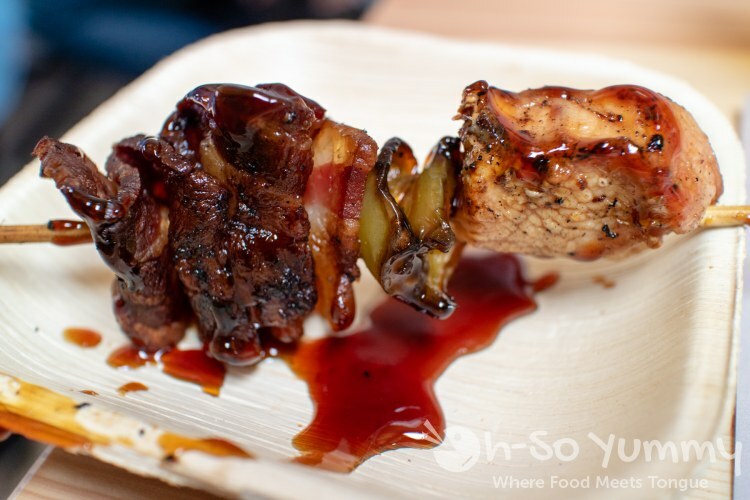 Here was some mesmerizing pork belly bites that would be part of our meal later! 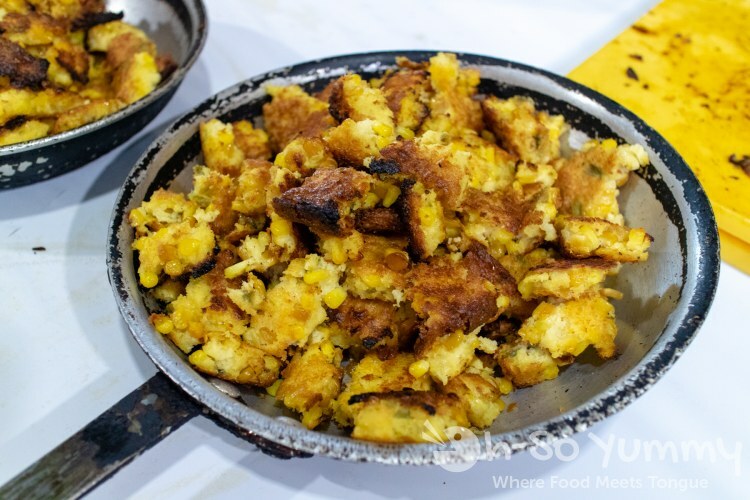 In the prep area, I found this Corn Bread Skillet! Oh boy was everything looking fantastic! I got distracted with my meal so didn't see other behind-the-scenes food. 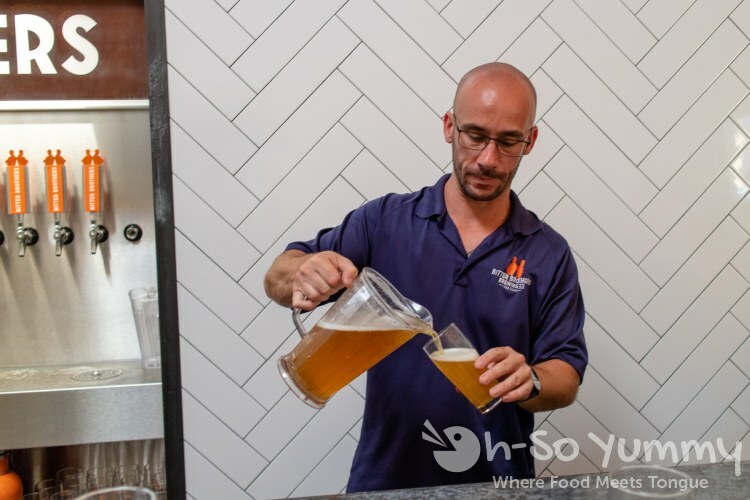 We can't forget about the hard working staff pouring us a cold one to enjoy with the food! The beer continued to flow throughout the evening. Bitter Brothers Brewing Co. owners Bill Warnke and Monica Andresen gave us a heartwarming welcome speech. 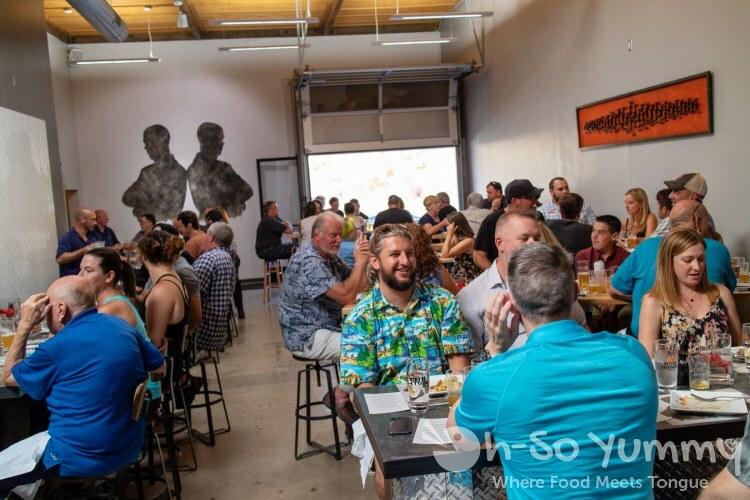 Family Dinner is part of an ongoing series at the brewery and all profits go to Feeding San Diego. The goal is to raise 20k in total and they are doing a fabulous job of it! As you can see, it was a full house! Here's 60 seats of eager diners which included a farmer and meat supplier for this meal. Let's get to the eats! Corbin wasn't able to make it in person but what a gorgeous looking appetizer to start the night! My favorite section was the crisped, savory bacon with the slightly sweet glaze. I first tried Corbin's Q while at Bacon and Barrels; his item "Yak Nuts" was similar to this except the chicken was wrapped with the bacon! You can find out more about this pitmaster and his business here: Corbin's Q. 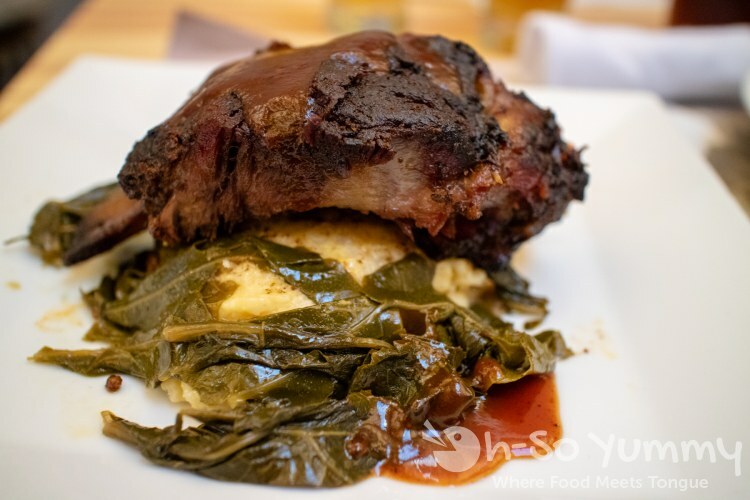 We're familiar with Grand Ole BBQ, whic was so addictive that we visited THREE TIMES within a month to devour most of the menu. This smoked turkey was as thick as ham and imparted such a wonderful flavor with the seasoned crust. Seriously the best I ever had, especially with the complimenting smoked gravy. The solid base of potatoes was amusingly described as "properly done mashed potato" by Chef Ami Cisneros (and we agree). She will be helping Andy run their new Flinn Springs location opening soon (website link). 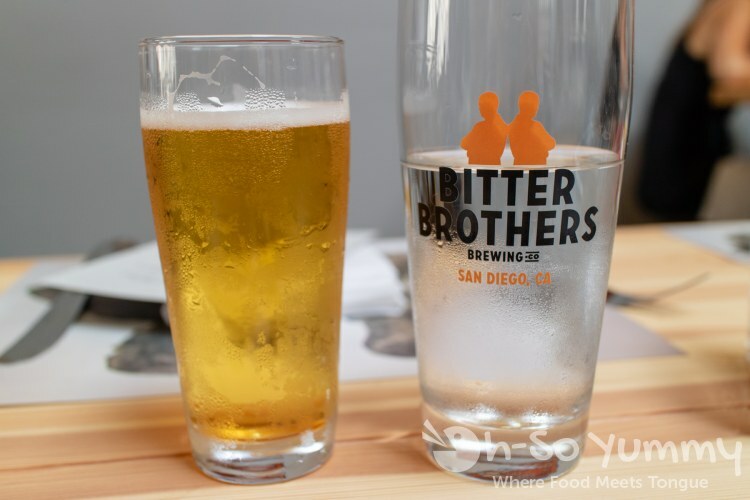 The beer pairing was Golden Child, the #1 beer at Bitter Brothers. Head Brewer Tyler Tucker described it as traditional with banana and clove notes. My requested "smaller pour" was still half a pint but its fruitier taste was as enjoyable as the first beer. I reviewed Coaster Saloon earlier this year and just like in the restaurant, the portions were plentiful! I nibbled, then thoughtfully saved the rest for Dennis. 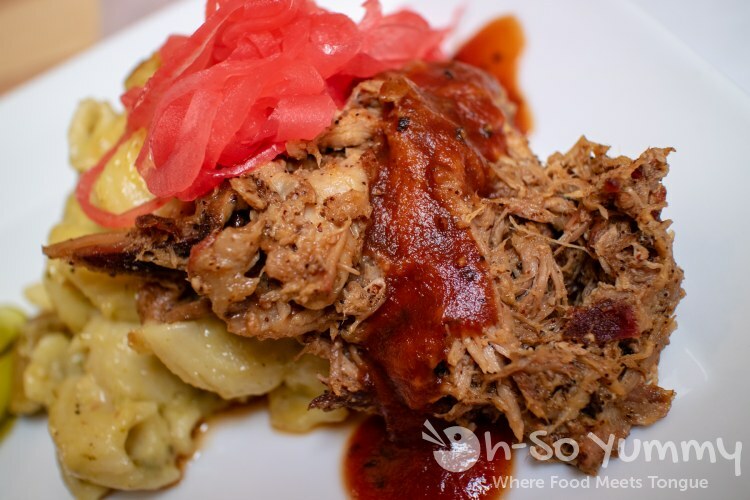 The shredded pork was meaty tender and perfect with the mellow barbecue sauce. 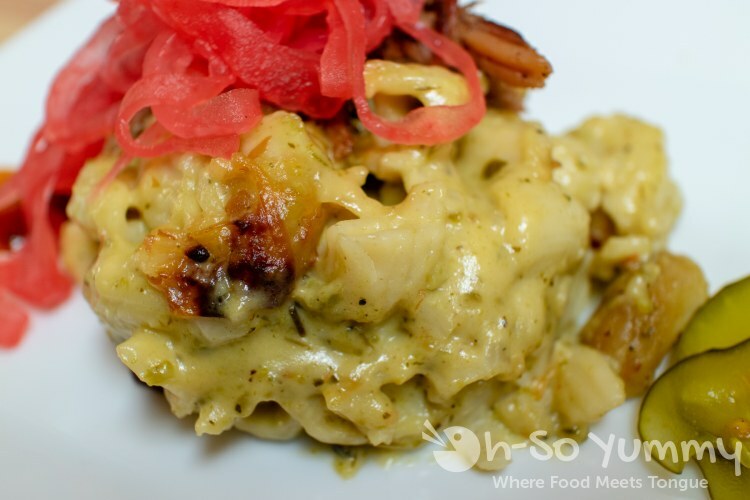 The Mac and Cheese was creamy and heavy yet not oily after reheating. I admit the leftovers got eaten by ME as a work meal so hubby will have to get his own... By the way, they used my overhead pic for their Instagram preview on the website. That food shot looks tasty for sure! This course's pairing was Little Child and I finally got a taster glass! The beer had a slight hoppiness to it but was nothing I couldn't handle. Remember that meat pic earlier? Hanis Cavin brought some of his best for this little dinner. 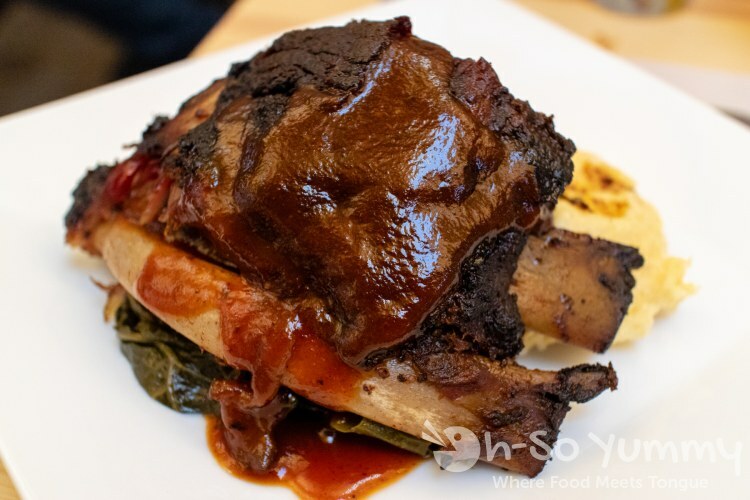 Indeed the meat was melt in your mouth good with the rendered fatty cap, plus the pork flavor was strong and and irresistible. The frisee salad was counterbalanced by cut up fruit and the pickled relish. The cornbread was a sultry party of corn bits and bread. Want more? Go visit The Pioneer BBQ for information! I hope to visit them myself soon! The pairing with this meal was an IPA named Dry Humor, super dry, very low sugar content but plenty of hoppiness. It's less calories for those who appreciate that route! I'm not much for IPAs and this was the most bitter of the beers served. For other guests, the contrast of the bitters worked really well with this sweet laced plate. It's been a while since we visited Coops West Texas BBQ in Lemon Grove. 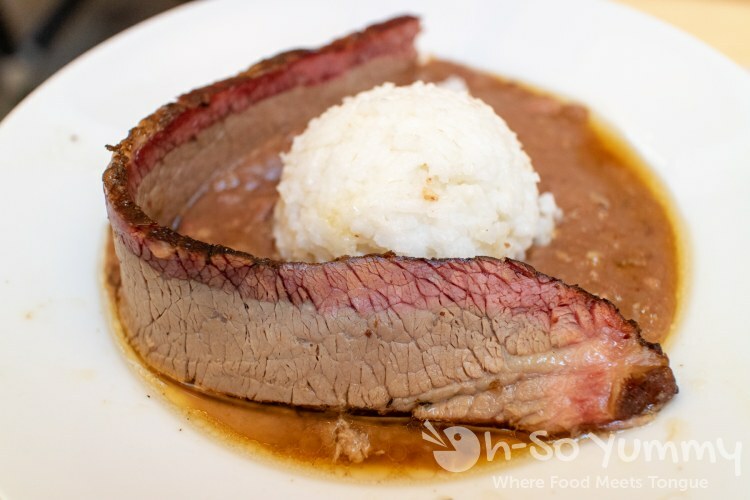 Brad Cooper really does make some excellent brisket with such a lovely smoke ring to it. Surprisingly we were just as captivated by the red beans and rice. Brad changed it slightly with gumbo-like additions which made our mouths happy. Find out more at their official website. To drink along with the brisket was the Clouded Judgement beer. Tyler Tucker mentioned notes of prickly pear. I have no idea what that fruit tastes like so my thoughts were grapefruit-like without the sour. The SIXTH course. These pitmasters were giving our stomachs a workout! These ribs from Rick Daniels were meaty with a great chew and beautifully smoked. They were plated with some secret recipe collard greens (Brad Cooper also does this well) and some yummy cheesy grits. These reheated well as part of another office meal. The next beer was the Red Headed Step Child but I've forgotten the taste. I mostly remember the first four beers were golden toned followed by a pinker and redder one! I was hardly making a dent with the beer glasses at this point! Then came dessert. If you weren't full from all the food and beer, I would be amazed! 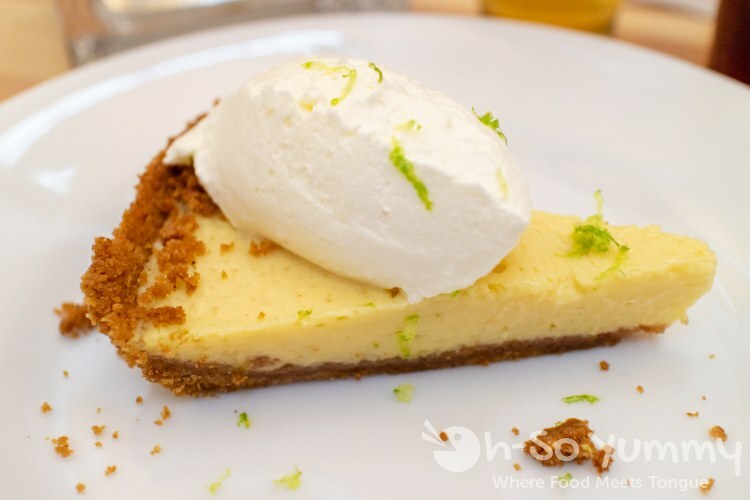 This special key lime tart really was a treat! Nothing's better than grandma's recipe (lucky Rick)! This slice had a strong lime flavor and such a great graham cracker crust. The eats are worth it at Iron Pig Alehouse so go check them out! And wouldn't you know, there was one last beer pairing with dessert! A new beer at the brewery (only the second batch) was Farmers Fantasty. Gosh, I wish I remembered more about the flavor but I think it will be on the menu soon! By the way, for those of you beer lovers, here's their current tap offerings. I'm still a little new to the beer scene but it was nice to try a few new brews while at this event. Just a little snap of a few fine folks who made this night happen! Also a big thanks to the kitchen crew, brewery staff, suppliers, and other helpers at the Family Dinner BBQ Bash. After an evening of gloriousness, it was time to return home. You know you've eaten well when your S.O. says you smell like BBQ. A single smoker can do that to ya, huh? This was a sucessful event to support Feeding San Diego and there will be more! 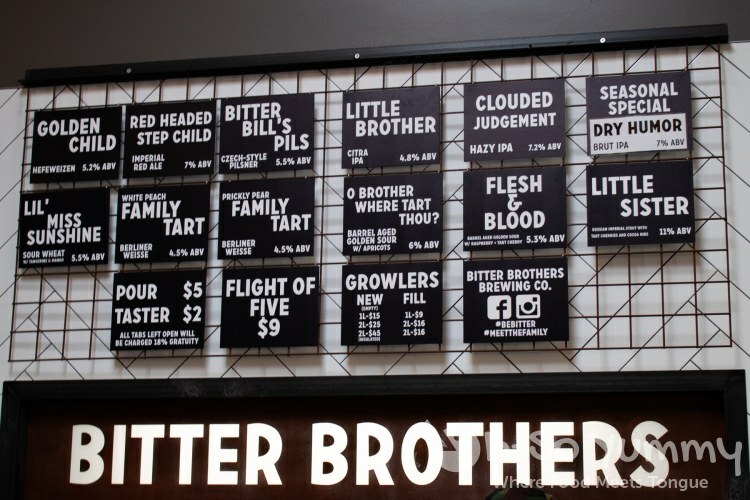 Make sure to keep an eye out for the next one at Bitter Brothers, which is located near the Costo off Morena Blvd. Happy eats to all. Oh my gosh! 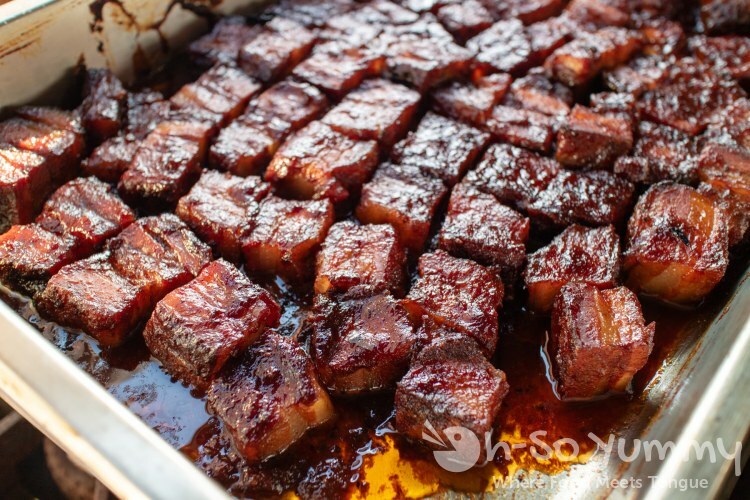 I'm not a pork fan but those pics you took made me drool! lucky that there's beef and chicken here too! i enjoyed the variety. Awesome dinner! I gotta go out and eat more bbq. i need to check out a few more bbq spots myself! What an amazing opportunity! I bet it was as delicious as it sounds! for sure! these bbq folks are masters at their craft! The food looked delicious. I'm drooling over here. The best part is that it was for a good cause. it's definitely a perk! goes toward other food projects which is perfect! 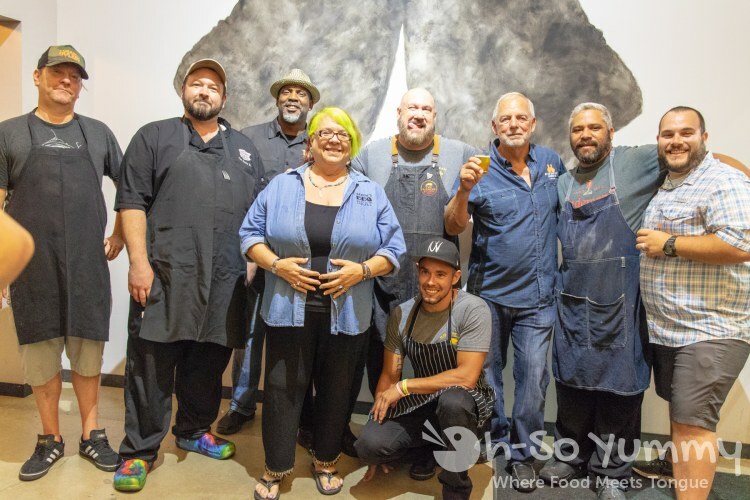 she's a certified bbq judge who helped pull these wonderful bbq chefs from san diego together for this event. i don't think we have a bbq lady in town quite yet! I love the beer glasses ! 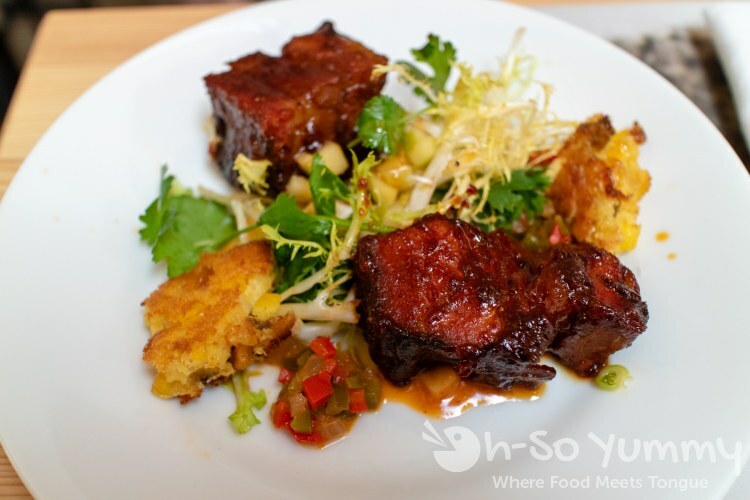 The pork belly looks so savory and deliciously sweet. I can't ever seem to replicate that at home. Is Corbin Q still at the LJ Farmers market on Sundays?